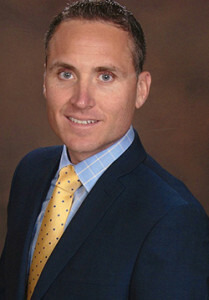 Attorney Jay M. Arnesen is a former police officer who provides experienced DUI and Criminal Defense representation in Fort Lauderdale, Boca Raton, Broward County, and Palm Beach County, Florida. Mr. Arnesen’s fierce advocacy for his clients’ rights throughout the criminal process has resulted in many favorable outcomes and verdicts. DUI – As a police officer, Mr. Arnesen has had comprehensive training in DUI Detection, Standardized Field Sobriety Testing, and Breath Testing. His in-depth knowledge and understanding of police procedures has enabled him to successfully challenge every aspect of the State’s case when defending his clients. Additionally, he knows firsthand how situations really play out on the street as opposed to how they end up being portrayed on an arrest report. As a result, Mr. Arnesen has obtained several “Not Guilty” verdicts in DUI cases at trial. Criminal Defense – Mr. Arnesen believes that probable cause issues relating to one’s arrest far too often go unchallenged by the defense. Whether the arrest occurred with or without a warrant, Mr. Arnesen will leave no stone unturned in his pursuit to protect his clients’ rights against illegal searches and seizures. Background – In his fifth year of service as a police officer, at the age of 26, Mr. Arnesen was involved in a serious motor vehicle accident that almost claimed his life while responding to a 911 call. As a result of the accident, he received over 400 stitches to his face and head, tore his tendon in his left hand, broke a vertebrae in his lower back, and sustained partial vision loss in his left eye. After months of rehabilitation and follow-up surgery, Mr. Arnesen recovered from his injuries but sadly had to take an early retirement from the police department. However, early retirement allowed Mr. Arnesen to pursue his lifelong goal of becoming a criminal defense attorney. Given what is at stake in your case, you cannot afford to take chances with your criminal defense. When you hire Mr. Arnesen, you will never get an associate assigned to your case. Mr. Arnesen will be with you every step of the way. His mission is for every client to leave the office feeling confident about the quality of their legal representation. Honored for successfully resuscitating a person who had stopped breathing several times during an emergency call. CPR Life Saving Award, Little Ferry First Aid Corps. DUI Trial – Client was arrested for DUI (Third Offense), Refusal, Leaving the Scene of an Accident (with bodily injury), and Failure to Wear Seatbelt. Defendant faced a mandatory 180 days in jail and a 20-year loss of license if convicted. After lengthy pre-trial motions involving discovery and suppression issues, the case went to trial. On day one, defense counsel subjected the arresting officer to a grueling cross-examination as to the proper administration of field sobriety tests. Many times during his testimony, the officer admitted that he failed to follow protocol. Prior to day two of trial, defense counsel submitted a new expert report as to blood evidence which indicated the defendant could have been suffering the effects of a diabetic emergency stemming from low blood sugar. As a result of the expert’s report and poor testimony by the arresting officer, the State dismissed the DUI charge and defendant pleaded guilty to Refusal. Defendant received a 10-year loss of license but received no time in jail. DUI Trial – Client charged with DUI and several other moving violations. The client’s alleged Blood Alcohol Content (BAC) was .16 percent. Defense counsel successfully had the breath test thrown out. After several other pre-trial motions, the case went to trial. At trial, defense counsel exposed conflicting accounts from two police officers about what transpired at the scene. The defendant was found not guilty of the DUI, but guilty of two moving violations. DUI Trial – Client was arrested and charged with DUI, DUI in a School Zone, Refusal, and Reckless Driving. In this case, the defendant drove through a roadside sobriety checkpoint. At trial, defense counsel challenged the officer as to the proper administration of Field Sobriety Tests as well as the location of the alleged school zone violation. The judge found the defendant Not Guilty of DUI in a School Zone, Not Guilty to Reckless Driving, but guilty of DUI (observation only) and Refusal. DUI Trial – Client was charged with DUI and a parking offense. Defense counsel got the breath results thrown out via a Holup motion limiting the time for the State to produce the certifications and documents relating to the Alcotest machine. The case went to trial and the defense got the arresting officer to admit on the stand that he did not properly administer the Field Sobriety Tests to the defendant. Defendant was found Not Guilty of all charges. Jay Arnesen is a retired police officer turned criminal defense attorney who now defends clients charged with criminal and traffic (DUI) offenses in South Florida. With offices conveniently located in Fort Lauderdale and Boca Raton, Mr. Arnesen appears in courts throughout South Florida on a regular basis. Protect your rights, contact experienced criminal defense lawyer Jay Arnesen anytime for a free initial consultation at 866-347-6296.